Attendees will receive the new Citrix Certified Sales Professional 2019 (CCSP) course, Cloud selling soft skills and opportunity discovery skills through practical group exercises to prepare your sales teams to sell Citrix Solutions. 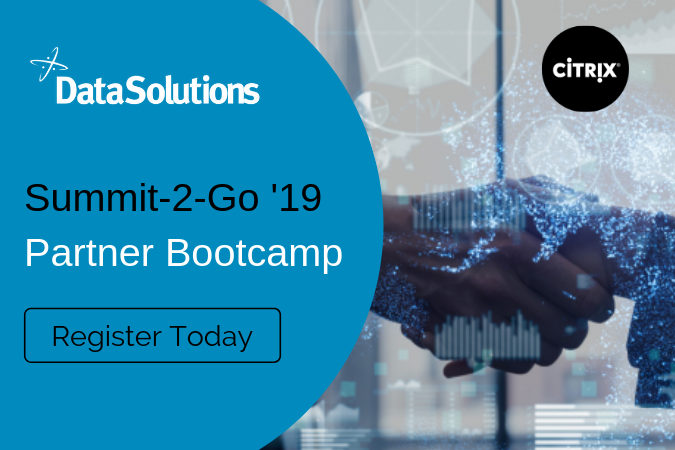 This partner bootcamp will provide you with the latest Citrix vision, strategy and messaging as announced at Citrix Summit ’19. Attendees will also have the opportunity to take the CCSP 2019 Assessment during the bootcamp which is required to secure continued Citrix partner incentives. Please Note – Although the Citrix Seller Course is a pre-requisite of CCSP 2019, it does not mean that a partner cannot take the CCSP course and the CCSP assessment during the bootcamp. But to be recognised by Citrix as ‘CCSP 2019 certified’ , a partner will need to pass both the seller and CCSP certifications.